Entertainment Desk: Rajkumar Hirani, the director of heart-warming, family-oriented movies like the Munna Bhai series, and Aamir Khan-starrers 3 Idiots and PK, has been accused of sexual assault by a woman, who has said Hirani sexually abused her on more than one occasion over a six-month period between March and September 2018. Much of the alleged assault and abuse took place during the post-production work of Sanju, the Sanjay Dutt biopic which released on June 29, 2018, the woman alleged in an email dated November 3, 2018, addressed to Sanju co-producer and Hirani’s close business associate Bollywood producer Vidhu Vinod Chopra. Chopra’s wife Anupama, who is the director of the Mumbai Film Festival (MAMI) and a director of Vinod Chopra Films Pvt. Ltd, was also marked on the emailed complaint, as was scriptwriter Abhijat Joshi, who has scripted most of Hirani’s movies including Sanju, PK and Lage Raho Munna Bhai, and Shelly Chopra, Vidhu Vinod’s sister, and the director of the upcoming Ek Ladki Ko Dekha To Aisa Laga. 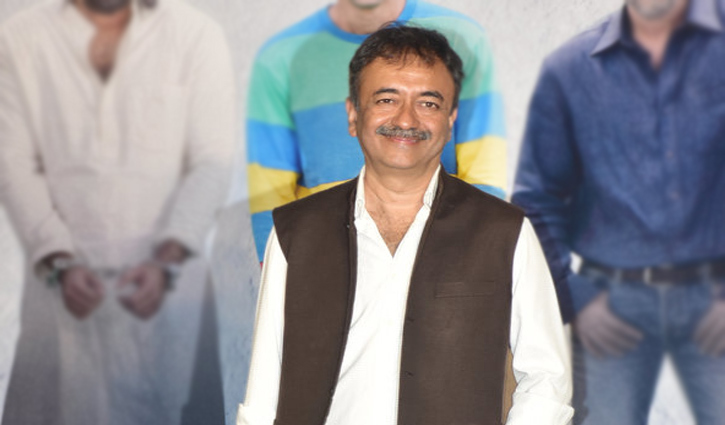 Rajkumar Hirani, responding through his lawyer Anand Desai, has categorically denied the allegations. “At the outset, our client states that the allegations made against him are false, mischievous, scandalous, motivated and defamatory,” Desai said in an email dated December 5, 2018 to HuffPost India. In her email dated November 3, 2018, the woman said that on April 9, 2018, Hirani first made a sexually suggestive remark to her and then sexually assaulted her at his home-office. “I remember forming these words on my lips - “Sir. This is wrong...Because of this power structure. You being the absolute power and me being a mere assistant, a nobody - I will never be able to express myself to you.” the woman wrote of the April 9 incident in the email to Chopra. Until the assault, the woman wrote in her email, she saw Hirani as a father figure. “My mind, body and heart were grossly violated that night and for the next 6 months,” the email said of the period that followed. HuffPost India has reviewed the email and spoken to the woman who made the complaint. The woman reiterated her account, detailed in the email, to HuffPost India. HuffPost India also spoke with three friends of the woman, who said the woman had told them, on different occasions, that Hirani had sexually abused her. In her interview with HuffPost India, the complainant said she was intimidated by Hirani, who was her boss at the time, and is nearly 30 years older than her. She said she took great pains to conceal Hirani’s actions towards her and maintain a facade of normalcy as her father was suffering from a terminal illness, and she desperately needed to hold on to her job. Vidhu Vinod Chopra did not respond to a detailed questionnaire sent by HuffPost India on December 5, 2018. HuffPost India also sent text messages to his personal number on the same day. His wife, Anupama, also did not respond to specific queries — including why Hirani’s name was dropped from the credits of Ek Ladki Ko Dekha Toh Aisa Laga. But in an email to HuffPost India dated December 5, 2018, Anupama confirmed that the woman had shared an account with her, and that Vinod Chopra Films (VCF) has since set up a committee to address complaints of sexual harassment. “I’ve met the complainant twice. Both times, I have offered my full support and recommended that she take the complaint to a legal body or a neutral party since we cannot be arbitrators or judges on this. We also offered to set up an ICC at VCF (which we have set up since then) even though a VCF ICC could not have taken up the case since she was an RHF (Rajkumar Hirani Films) employee at the time. These are two separate companies. She stayed at our house for two nights. We also provided the number of an expert on the issue so she could talk to a professional. Anupama’s response suggests that Vinod Chopra Films did not have an Internal Complaints Committee at the time the complaint was made. Vishnu Shriram, a lawyer who has dealt with several cases of sexual harassment at the workplace and who is a senior associate at Phoenix Legal, said that it is legally mandated that a production house assist a survivor in taking the complaint forward. Abhijat Joshi, the scriptwriter (Sanju, PK, 3 Idiots) marked on the original emailed complaint, also confirmed to HuffPost India that he is aware of the woman’s complaint.